By Dorothy Hinshaw Patent, photography by William Muñoz. Walker & Co. $17.99. The horror of Michael Vick’s Bad News Kennelz is well-documented, but Patent takes it a step further in upbeat fashion by following the three-in-one young namesake rescue (No. 86, Dutch and Audie) through the angst of long-term kenneling, foster care and finally a permanent home in a cross-country saga of repair and respect. War II hero Audie Murphy) learning to interact with other animals and individuals in public and gaining their acceptance and awe, respectively. Text and photos complement each other beautifully throughout this absorbing account of a one-time fighter in waiting transformed into a spokesdog for BAD RAP (Bay Area Doglovers Responsible About Pitbulls). 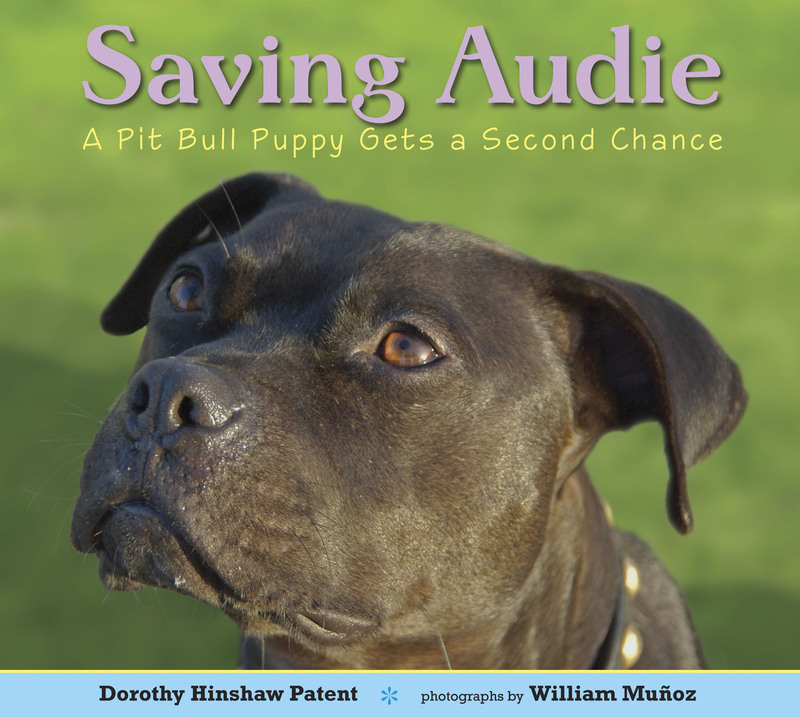 “Saving Audie” is a heart-wrenching journey that connects powerfully to readers of all ages. A moving narrative of true grit, it captures the fragile nature of several saviors’ dreams and follows them to lofty new heights.